I'm reviewing a book unlike any book I've reviewed so far. 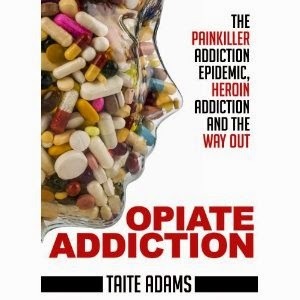 The book is called "Opiate Addiction," by Taite Adams. I bought the book because I have a cousin who is losing everything due to an opiate addiction, and I want to get a better grasp of what he's going through. If you are an addict or know someone with the addiction, you're familiar with the devastation it causes, but knowing why it does what it does and how to beat it are mysteries. This book starts with the basics -- what are opiates and how they work -- before going into what is opiate detox, methods of attacking addiction, etc. What I love about this book is that the author writes from firsthand experience, so the book really has a personal, humanistic touch. The writing is clear and concise, while still being thorough, making the book easy to get through yet informative. I would recommend this book to anyone who is or knows an opiate addict. Taite Adams does the subject justice.